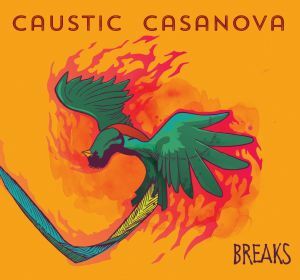 Short, but informative song reviews by heavy indie rock trio Caustic Casanova, hard rock band Five Hundredth Year, electro-pop noir duo no:carrier, and indie rocker The Sunless Sea. The members of self-described ‘eclectic heavy space-rock’ band Caustic Casanova hail from Washington, DC and already have 2 albums under their collective belt, the well-over-1-hour debut opus Imminent Eminence from 2008 and 2012’s Someday You Will Be Proven Correct. Both of those albums were under the influence of core members Stefanie Zaenker (dums, vocals) and Francis Beringer (bass, lead vocals) and the band’s original guitarist Michael Wollitz, who broke away from Caustic Casanova in 2012. Andrew Yonki has since come on board on guitar and the solidified trio is releasing its newest album, Breaks, September 25th on the Kylesa-run label Retro Futurist Records. 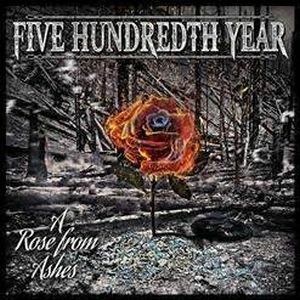 The hard rock/progressive metal band from Fenton, MI released its 7-track A Rose From Ashes EP earlier this summer and also dropped a video for the aggressive, but also melodic, single “Blame”. The band members (John – lead vocals, Ben –lead guitar, Jimmers – rhythm guitar, Brenda – bass, back-up vocals, Mike – keyboards, back-up vocals, and Zach – drums) are a full-force squad, constructing robustly slammin’, but tuneful canvases that merge distorted guitar riffs, punchy drum hits, and shouted out vocals with the occasional softer side of keyboards and canorous vocals. “Blame” displays all of the above, opening harshly with jagged guitar riffs and then alternating roared out vocals with a husky, but more mellifluous tone on the intro lines “I’m falling apart / This addiction takes its toll…” and “Like a drug / I just can’t quit…” The 2-sided vocal approach is compelling as John slides into a plaintive tone on the chorus, declaring “… a sickness lives in me / and you’re the one to blame.” He then morphs into a scouring growl (or is it an assist from Mike on back-up vocals? ), unleashing the lyrics “Here it comes again / The cycle never ends.” This song may be about love (or lust), and if so, it sounds like a pretty scary and out of control place to be! The electro-pop noir duo of Chris Wirsig (songwriter, producer) and Cynthia Wechselberger (vocalist) is based in San Francisco and recent EP Ghosts of the West Coast is steeped in the dark side of the California sunshine. 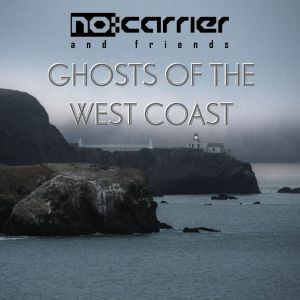 The 4 tracks are covers of California-related songs and each one is a collaboration between no:carrier and a different guest artist. Don Henley’s classic “The Boys of Summer” is covered by Kalib DuArte, Belinda Carlisle’s “California” is powerfully touched by the vocals of Melissa Harding, and Cynthia herself graces the traditional Irish tune “She Moved Through the Fair”. Rounding out the quartet is Lauralee Brown, tackling lost dreams and homelessness on Tony Carey’s “Room With A View”. 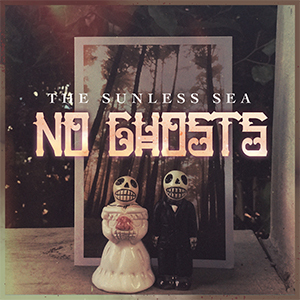 The Sunless Sea is actually the music project of one Charleston, South Carolina-based Witte Crosby who blends strident, emo indie rock vocals and song structures with smoother electro-pop melodies and instrumentation. He released his 6-track EP No Ghosts in late spring and it’s rife with rocky, off-kilter tunes that take a while to warm up to. The EP’s closer, “XO”, is the closest Witte comes to a traditional alt-folk format with acoustic guitar strum, contemplative piano notes, and more subdued vocals. Otherwise, the electro-rock atmosphere is driven by Witte’s urgent, emo-whining tone that will either attract or repel the listener.